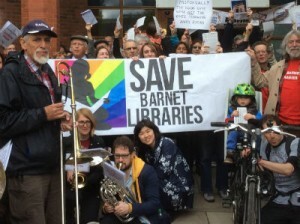 Word is out amongst our members working in Libraries that the current fantasy library proposals could rapidly lead to potentially serious medical conditions for Barnet Library users which could add further pressure on our local NHS services and an increase in crime. Staffless Libraries will mean limited access to Barnet Libraries for children under 16 and people with disabilities. Our library workers believe this will inevitably lead to an outbreak of “binge reading”. 25th of January Clayton Crown Hotel, Cricklewood Broadway please RSVP here. Lack of affordable housing in Barnet is now one of the top 2 concerns for local people according to the council’s latest Residents’ Perception Survey. People are finding it hard to get onto the housing ladder with average house prices in the borough at nearly half a million pounds. Private sector rents are the highest in outer-London with many rented properties poorly managed and maintained. Homelessness is increasing, and with recent news that Barnet Council is set to increase council rents for new build to 65% of average open market rents from 30%, more and more people will find themselves trapped in a cycle of debt, eviction and homelessness. 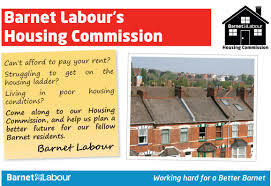 Barnet’s Labour councillors have set-up a Housing Commission to look into how Barnet can increase the supply of affordable homes, and help improve standards in the private rented sector. Our Commission is Chaired by Nicky Gavron AM, and is made up of independent housing experts, local community representatives and Labour councillors. 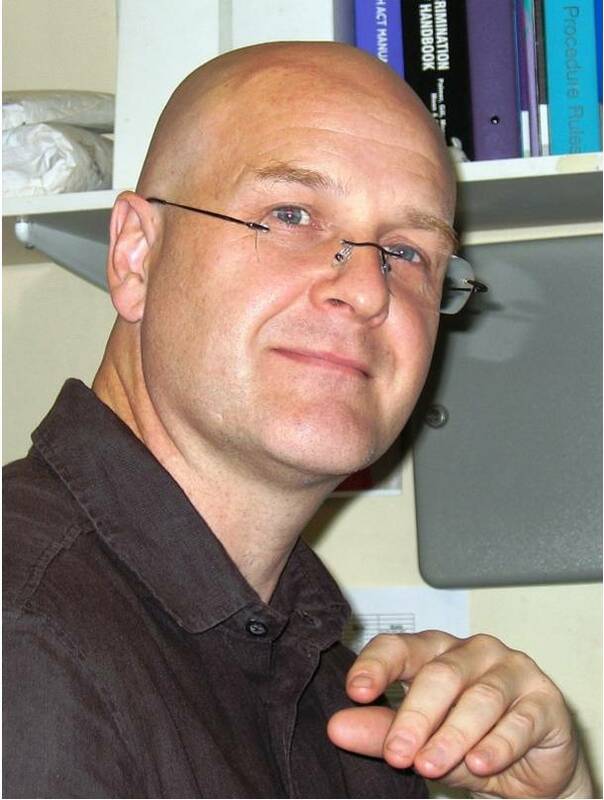 You can find out more about our Commissioners here. The Commission will meet at least six times over the next 8 months, and will be taking evidence from housing professionals, other London boroughs and the local community. The meetings will all be open to the public to attend. Our launch event and first evidence session took place on Thursday 20 November at the Crown Moran Hotel on Cricklewood Broadway, with Guest Speaker Cllr Sarah Hayward, Leader of Camden Council – thanks to all who participated! You can see footage here from the meeting courtesy of the Barnet Bugle. We held our second evidence session on Monday 1 December at the Rainbow Centre on Dollis Valley Drive, and heard evidence from private tenants’ rights campaigner, Jacky Peacock OBE, Roz Spencer, Rogue Landlord Taskforce Co-ordinator, LB Lewisham, Duncan Bowie, Senior Lecturer in Spatial Planning at the University of Westminster, Professor Marjorie Mayo & Ines Newman, authors of ‘Tackling the housing crisis‘ and Maria Brenton, co-founder of Older Women’s CoHousing (Owch). You can see footage from that meeting here – courtesy of the Barnet Bugle once more. Our third evidence session took place on Monday 8 December at the Friern Barnet Community Library. We heard from Sarah Sackman – Public Law Barrister and Labour’s parliamentary candidate for Finchley & Golders Green, Alison Inman – Board Member of the Chartered Institute of Housing and the Tenant Participation Advisory Service, and steering group member of SHOUT (Social Housing Under Threat), Kate Murray – former Editor of Inside Housing and steering group member of SHOUT, Cllr Phil Glanville – Cabinet Member for Housing, LB Hackney and Cllr James Murray – Cabinet Member for Housing, LB Islington. 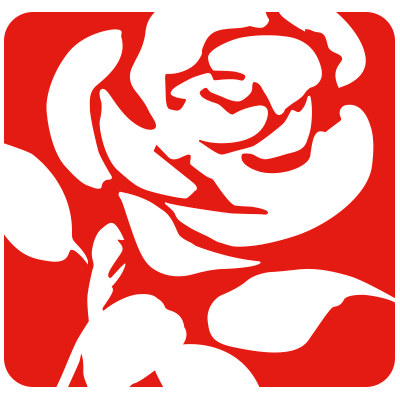 Footage of this session can be viewed here – courtesy of the Barnet Bugle as ever. Our fourth evidence session took place on Thursday 8 January at the Park Road Youth & Community Centre, West Hendon. We heard evidence from Christine Hynes – CEO of Climate Energy Homes, Andrew Dismore – Assembly Member for Barnet & Camden and Labour’s parliamentary candidate for Hendon, Dan Knowles – Director of Sawyer Fielding, Cllr Stephen Cowan – Leader of LB Hammersmith & Fulham,Jasmin Parsons – Our West Hendon and Janette Evans – Barnet Housing Action Group. Footage of this session can be found here courtesy of the Barnet Bugle. Our fifth evidence session took place on Monday 23 February at the Grahame Park Community Centre in Colindale. We heard evidence from Cllr Barry Rawlings – the Barnet Labour Group’s Deputy Leader and Health Spokesperson, Cllr Mick O’Sullivan – Chair of the London Federation of Housing Co-ops, and Chair of Islington’s Housing Scrutiny Committee, Cllr David Rodgers – former CEO of CDS Co-operatives, the largest co-operative housing service agency in the UK, former President of the International Co-operative Alliance (Housing) and the Deputy Cabinet for Housing at LB Ealing, John Dix – aka Mr Reasonable,Theresa Musgrove – aka Mrs Angry of the Broken Barnet blog, Patrick Hunter – Unison convenor, Barnet Homes, Cllr Nagus Narenthira – NASUWT and Labour councillor in Colindale. Footage of this session can be found here courtesy of the Barnet Bugle. Our sixth evidence session took place on Wednesday 8 July at the Park Road Youth & Community Centre, West Hendon. 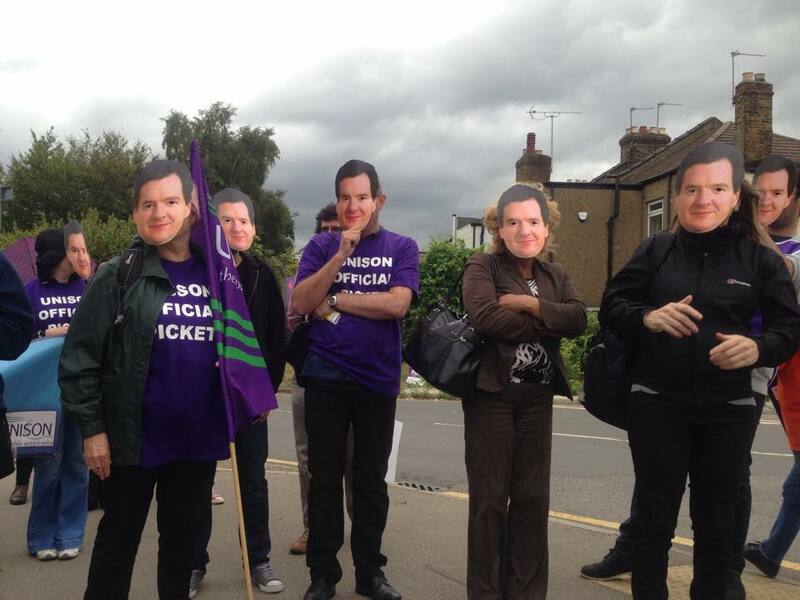 We heard evidence from Nicholas Boys Smith – Founder of Create Streets, Maggie Rafalowicz – Campbell Tickell, Tom Copley AM, and Keith Nason – Secretary of Barnet NUT. Our final public evidence session took place on Thursday 10 September at 7.30pm – once again at the Park Road Youth & Community Centre, West Hendon. We heard evidence from Daren Nathan, Development Director at Durkan and Cllr Alan Strickland, Cabinet Member for Housing & Regeneration, LB Haringey. Over September and October we have continued to take evidence from other London boroughs, and other organisations including housing associations in Wales, and so our report has been delayed and will be launched on Monday 25 January. To attend the launch event please RSVP here. We look forward to seeing you at our report launch event! John Burgess talks a mile a minute, dresses in any colour as long as it’s black, and refers to other men as “lad” – even if they’re older than him. He’s also one of my heroes of 2015. Unlike most end-of-year gong-winners, Burgess is a name you won’t know. But if heroism is about being brave when it counts – about standing up straight even while others try to make you bend or break – he’s the real deal. And at a time when so much of the organised left is afflicted by loss of nerve, mind, or both, it is a relief to find someone who still has both. For our purposes, Burgess’s story begins in May 2008 – at the point he was hoping to hang up his boots. 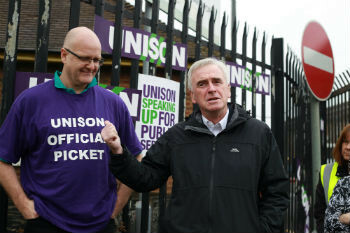 After a long slog as branch secretary of Unison in Barnet, north London, he planned to return to his life as a local mental-health care worker. Then the Conservative-run council began offloading its key public services to big business – and he was thrust into the biggest battle of his life. Almost eight years later, he’s still defending jobs, campaigning against cuts, pointing out the expensive absurdities of outsourcing. Going back to care work? Nice dream. The forces Burgess is resisting will be pushing against your door soon enough. In making his cuts, George Osborne has chosen local councils to take the biggest hit, slashing day-to-day spending by the Department for Communities and Local Government by 79% over this decade. It is both a cunning and a cowardly manoeuvre by this chancellor, inflicting the greatest damage from an apparently blameless distance. To get an idea of the noxious politics at work, consider one of the big stories of the past few days. Conservative councillors in Essex unveil a plan to charge pensioners £26 for being picked up after a fall; newspapers pick it up; abuse is hurled by members of the public. The one man whose approval ratings go unaltered is the same one whose cuts make the whole outrage almost inevitable: George Osborne. Thus is set the pattern for this decade. Somewhere near you, a sports hall will be closed down, a grandmother will lose her daily meals on wheels, the roads will sprout holes, and streetlights will go dark. Vast swaths of the public realm will either be abandoned or handed over to big companies to run at a profit. Each time, it will be the local council that wields the axe and faces down residents, although it’s merely following a course set for it around a table in Number 11. The difference with true-blue Barnet, Thatcher’s backyard as MP, is that it elected to start on all this early in 2008, before the banks collapsed and the cuts began. Under the guise of encouraging open-market competition, it has handed over everything from school meals to cemetery upkeep to the private sector – mostly to the multibillion giant Capita. All of which makes John Burgess the advance guard for the rest of us. Already other Tory councillors are looking at Barnet as the model for how they should outsource their services. How he fights this, the arguments he deploys and the tactics he uses, will help set the template for all the other fights to come. I’ve written here before about Barnet and its role as the test lab for the rest of the public sector, with its key executives skipping off to run other councils. But what’s always struck me has been the sheer attack Burgess has brought to this most vital of campaigns. 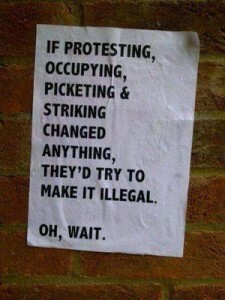 The armoury of contemporary trade unionism is sadly limited: a petition, some lobbying of dignatories, a lacklustre march, a strike, some variety of defeat. That’s not been Burgess’s way. 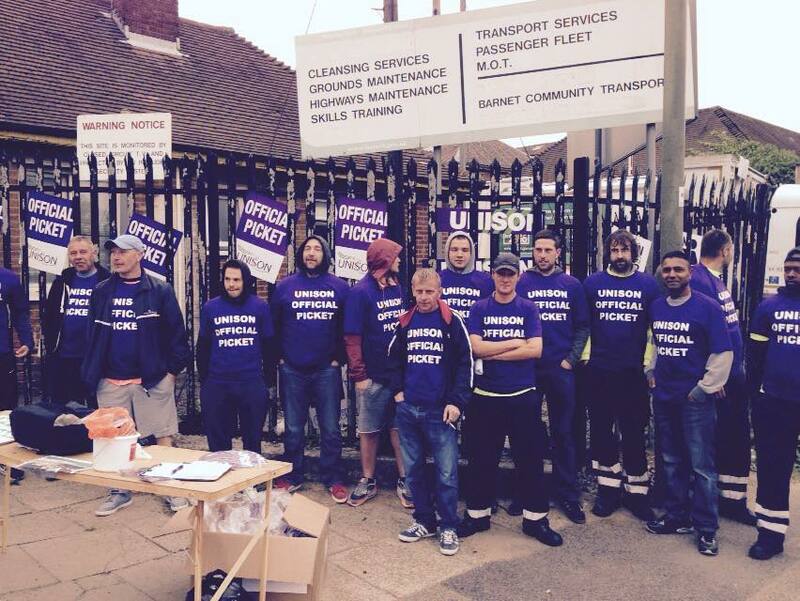 First, he sent local councillors briefings on the problems of outsourcing – every Friday for 20 weeks. Then he began working with academics and experts to produce detailed reports picking apart the financial illogic of the contracts. When the outsourced care service, Your Choice Barnet, had to be bailed out with public money it was like seeing their predictions made flesh. So far, so ballsy. 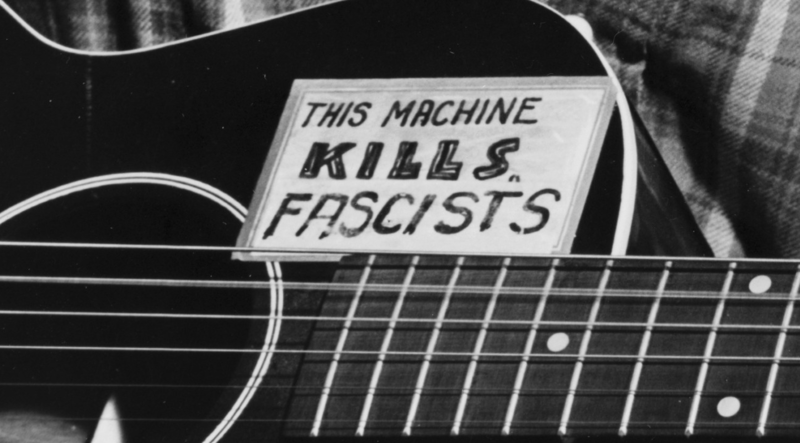 But the other thing Burgess has done is turn what could be merely an industrial dispute into a social movement. So there have been rock concerts against the cuts, and events with Russell Brand. Short cartoon films have filled in residents on what would happen once their services disappeared into the maws of Capita. He’s collaborated with bloggers and local non-union activist groups. And he’s done all of this in the face of a weak local Labour opposition and lukewarm support from his own union. 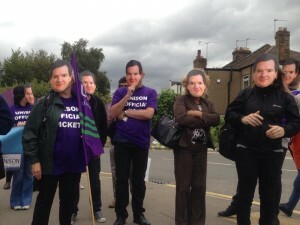 “John’s become the real opposition in the borough,” says local blogger Mrs Angry. 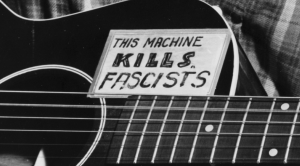 I’ve lost count of the number of times I’ve heard or read about what trade unions and leftwingers should do across the country in this hostile climate. Columnists call for unions to engage with civil society, while Burgess gets on and organises marches to save local libraries that pull together Tories with former coal-miners from his birthplace of County Durham. Pundits demand unions work together, while he just works with PCS and Unite on local initiatives. Academics write about social-movement unionism, and he joins with local housing campaigns against social cleansing in Barnet on the grounds that “our members live here too”. He does all this – and he’s also a carer to his mother, who has dementia. Sometimes, while planning the next action, he’s been summoned by panicky hospital staff to travel north and make sure everything’s OK. Then he comes back and just keeps on going. If we are to save what’s left of the public sector from an acid bath of giant profiteers, user charges and historic cuts, we’ll need a lot more John Burgesses. I just hope we’ve got them. This afternoon, MPs will vote on a proposed law. As a bit of policy, it is as belligerently incoherent as a drunk at 2am. As a piece of politics, it will harm millions of people, while making one of the gravest crises facing our country even worse. Yet I’m fairly sure this piece will be one of the few across the press and the BBC even to discuss it. Granted, the housing and planning bill can never outdo the excitement surrounding the ups and downs of Hilary Benn, the new Mr Darcy of every wet-eyed columnist. But the UK housing market is a catastrophe so dire that it causes even Manhattanites to marvel. A recent Guardian interactive makes the point: any would-be homebuyer earning the national average of £26,500 will now find 91% of England and Wales beyond their reach. If you can’t buy, you rent – except in London, the epicentre of the madness where rents are so extortionate, newspapers compete for horror stories. Consider the £480 a month charged for a mattress in the corner of a communal lounge in a shed in the east end. You don’t need me to lather on facts and figures. Anyone trying to get a toehold in the housing market, or whose children are, already knows how badly broken it is – and grasps the implications. How it gouges money from those who don’t own only to put it in the pockets of those who do. How it forces anyone from outside London either to accept that they won’t be able to pursue a modestly paying career there – or will have to grind out at least a decade of expensive squalor to do so. And how that makes the UK both more unjust and economically weaker. David Cameron knows all this. He even makes speeches about how homes in Britain are unaffordable to Britons. The bill in front of MPs is meant to free up social housing for those most in need and to make land and funds available for builders to churn out more private homes. In reality, it will make private homes even more unaffordable while cutting further the stock of homes available below market rent. Look at the axe the government is taking to social housing. Before the 2010 general election, Cameron promised to “support” social housing while his soon-to-be ministers pledged to “protect social tenants’ rights and rents”. Now he’s phasing out secure tenancies for those same tenants. A couple living in a council home who earn a total of £30,000 a year (£40,000 within London) – that is, just above minimum wage – will be moved up to market rents. The Treasury will also force local authorities to flog “high value” homes once a family moves out. That spells the end for council housing in central London – specialists estimate that 60% of Camden’s housing stock and 70% of Islington’s would qualify as “high value”. Couple it with what’s already happening in the private rental market – where poorer families are being pushed out to London’s perimeter, and you have a charter for turning the centre of the city into a rich-only enclave. If this sounds like the sort of post-adolescent fantasy that would be sketched out in some Westminster thinktank, that’s because it is. Many of these policies have been lifted from the rightwing Policy Exchange. 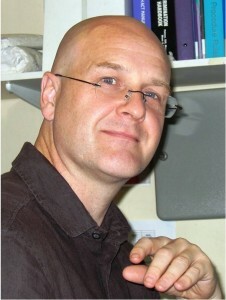 Until 2014 its former housing specialist, Alex Morton, churned out pamphlets such as Ending Expensive Social Tenancies, notably mainly for their flush-cheeked libertarianism, casual dismissal of the rights of those not on stellar incomes, and subheadings such as “Most people actually support forcing people to move from expensive properties”. For such Rolls-Royce thinking, Morton is now paid somewhere between £53,000 and £69,999 of taxpayers’ money as a special adviser to the prime minister on housing policy – one of Cameron’s fleet of advisers whose salaries cost the public over £9m a year. But what sounds good at a conference fringe meeting doesn’t always translate into robust law, and the housing bill has more holes than all the golf courses in suburbia. Try this: the household income assessment of council tenants will be based on the previous year’s earnings. So a family could go through redundancy, divorce or even death and still be forced to cough up “market rents”. Or this: the amount a council is meant to net from the sale of a publicly owned home will be set not by local surveyors, but by Treasury officials. Or this: although the bill’s fixed-term tenancies are aimed at making social housing more flexible, it provides no viable mechanism for evicting antisocial tenants before the term is up. The contradictions gape wider and wider. 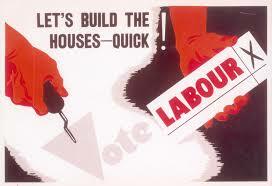 The government that plans to make more use of limited council housing also wants to sell council housing. 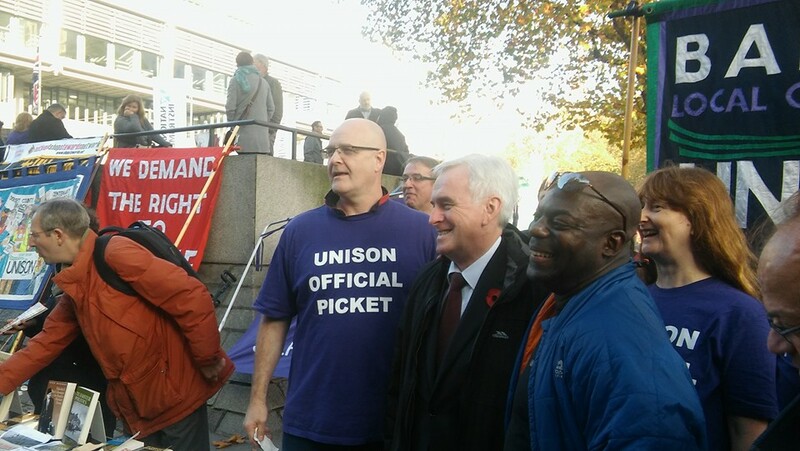 The ministers who want to make work pay will also make work cost more for council tenants. The administration that think these changes are excellent for half the social-rented sector now won’t apply them to the other half – housing associations – on anything more than a voluntary basis. Cameron’s big solution to the housing shortage is to invent a new category, “starter homes”, and encourage developers to build them. To do that, he is donating public land and – as of the last spending review – nearly £20bn of taxpayer funds in grants and loans. Developers building homes at up to £450,000 in London and £250,000 in the rest of England will be able to claim them under the rules as “affordable”. As the housing charity Shelter points out, to buy a starter home in the capital by 2020 will require an annual income of £77,000 and a deposit of £98,000. That makes them unaffordable to all but the richest third of Londoners. This isn’t a serious housing policy. It represents nothing less than a death blow to council housing in central London, and a full-throttle attack on tenants in social housing everywhere. It will hand to big developers tens of billions in taxpayers’ money – for building “affordable” housing that most Britons simply cannot afford. This is ideology at its purest: the thinnest of rhetoric draped around a naked transfer of money and resources from the poor to the rich.